New Zealand Actor Russell Crowe Makes His Directorial Debut With The Historical Drama "The Water Diviner"
Actor Russell Crowe's current resume contains 40 movies. We've seen him mostly in front of the camera. In his latest project however, he not only starred in the film, he went behind the camera as well. 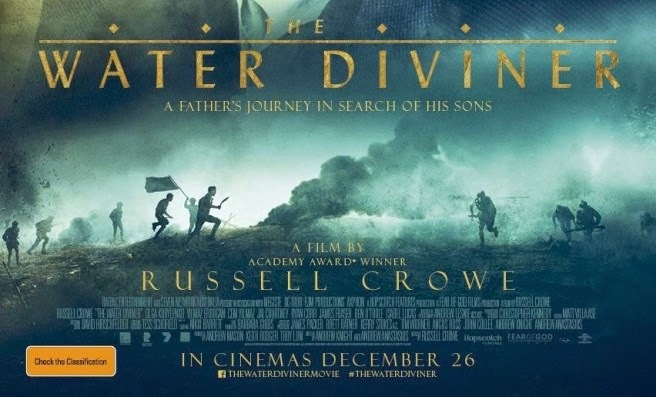 In The Water Diviner which is Crowe's directorial debut, the New Zealand actor plays an Australian farmer who makes the decision to leave and travel to Turkey to look for his three missing sons. Since making his screen debut in Prisoners of the Sun in 1990, Crowe quickly transformed himself into a major star with memorable performances in films like L.A. Confidential, The Insider, Gladiator, A Beautiful Mind, Cinderella Man, Master and Commander: The Far Side of the World, and American Gangster. Crowe will be next seen in next year's Fathers and Daughters, a drama directed by Gabriele Muccino. Fathers and Daughters also star Aaron Paul of Breaking Bad fame, Diane Kruger, Amanda Seyfried, Jane Fonda, and Octavia Spencer.